I am by no means an oatmeal making expert, but if I was, not to mention if I wasn't camera shy, you can bet your oats I'd be entering Bob's Red Mill's Spar for the Spurtle Oatmeal Recipe Contest. I know there isn't that much time left, but hurry up and get your grains in order and enter enter enter! You know what's on the line? Three finalists will win a trip to Portland, Oregon where they'll compete for the ULTIMATE PRIZE: A trip for two to Scotland to represent Bob's Red Mill at the 19th annual Golden Spurtle World Porridge Making Championship in October, plus expenses/accommodations/etc. 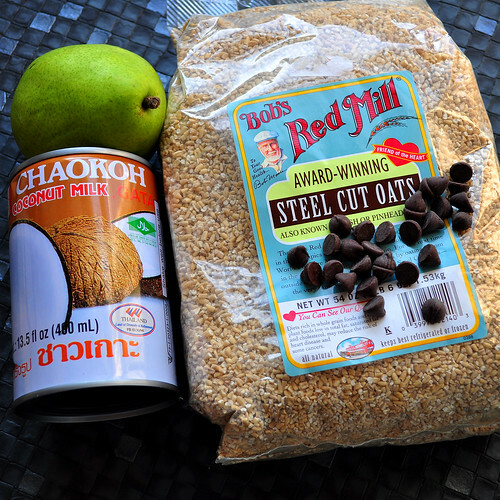 Look at the web site for details, but right after you do that, run to the store, pick up a bag of Bob's Red Mill Steel Cut Oats, whip up a batch of your awesome oatmeal and video tape yourself doing your thing. * A spurtle of your very own!!! 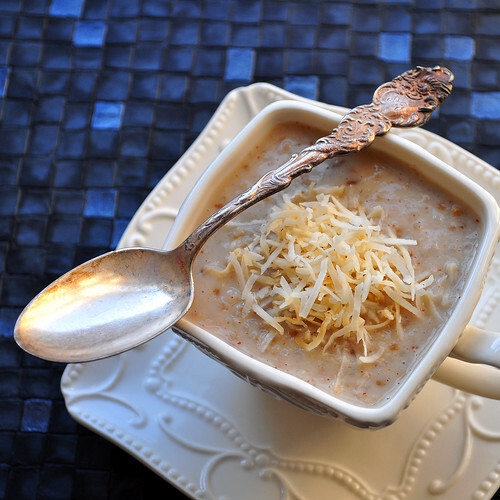 Oh, and in the spirit of things, to get you started, to get you thinking, I'll share with you my oatmeal recipe. When I bake, I am precise, I plan ahead, I measure everything, I alter recipes in very logical ways and take great big risks only when I'm 90% sure of success (that's still a risk you know). On the other hand, cooking usually involves the proverbial "kitchen sink" and this oatmeal recipe is no exception. When I found out about the contest, I opened the pantry knowing that I had Bob's Steel Cut Oats in there, but what else should go in there? I don't like my oatmeal plain, so I started pulling things off of shelves to see what will go well. I like to add apple sauce to my oatmeal, but I didn't have any on hand. 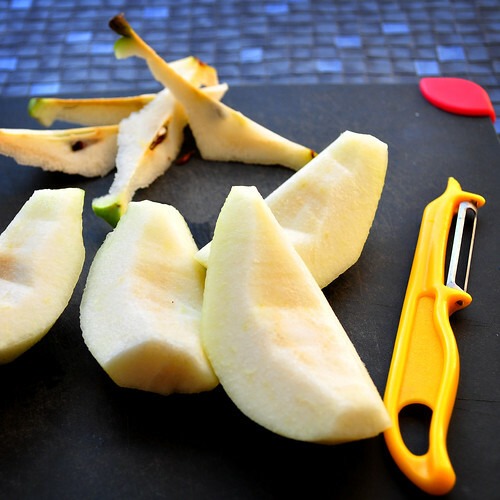 I did have one lonely pear left, so that got peeled, pureed and tossed in. 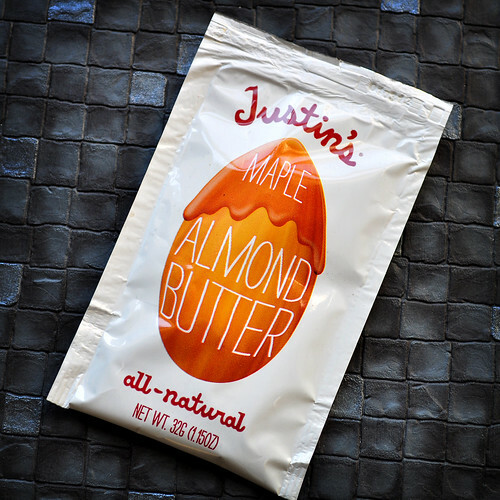 I had a packet of Justin's Maple Almond Butter, so that went in too for sweetness and a bit of extra protein. A touch of honey, a jar of Coconut Milk (jars of this stuff multiply in my pantry like rabbits), a dash of vanilla and I was ready to go. 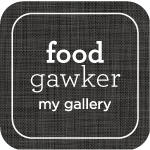 Also, while I'm not actually entering the contest myself (I don't look all that glamorous when I cook and no one will ever catch THAT particular process on tape), I did create this fun little gif of the oatmeal bubbling away. The thick bubbles made it look a bit like the oatmeal was screaming at me, so to capture that, I made another little gif. Okay, so I just like making these. Whatever. They're fun. So to make the picture better I added a few chocolate chips. You know what this ended up tasting like? An Almond Joy. Um, talk about an upgrade! I may have just invented dessert oatmeal. Try it, it's really good! Aside from the cooking instructions on the package, this recipe is entirely my own as no one should be blamed for the sheer random contents of my pantry that culminated in this awesomeness. 1. Combine the oats, milk, water, vanilla and salt in a large pot over medium heat and bring the mixture to a boil. You want the pot to be big enough to allow the mixture to rise as it simmers. I didn't and I had to keep a very close eye on my pot to avoid a spill. 2. Lower the heat to a low simmer, cover the pot and cook for 20-30 minutes, depending on how soft/mushy you like your oatmeal. Stir often!!! 3. Once the oatmeal is cooked to your liking, remove the pot off heat and mix in your pears, almond butter and honey (or whatever you decided to substitute these with). 4. 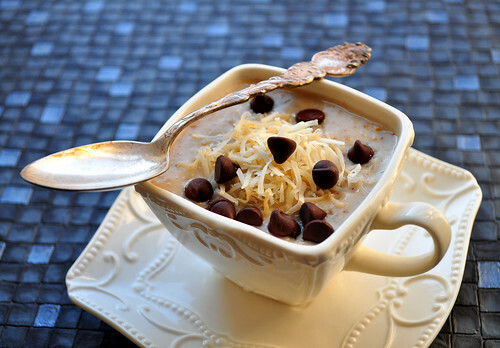 Let it cool a bit and thicken, scoop into a cup or a bowl and top with shredded coconut and chocolate chips. Enjoy! ok! i am so making this ASAP!! tomorrow's dinner perhaps? Thanks for spreading the word about Spar for the Spurtle. Your dish looks awesome- we've pinned it to our Pinterest boards! Hahahaha oh man, and you were trying to be healthy. Made this today!! Aside from being oatmeal and having pears, there is nothing too healthy about this, but I will say, its absolutely DELICIOUS!! Even without the shredded coconut and chocolate chips.